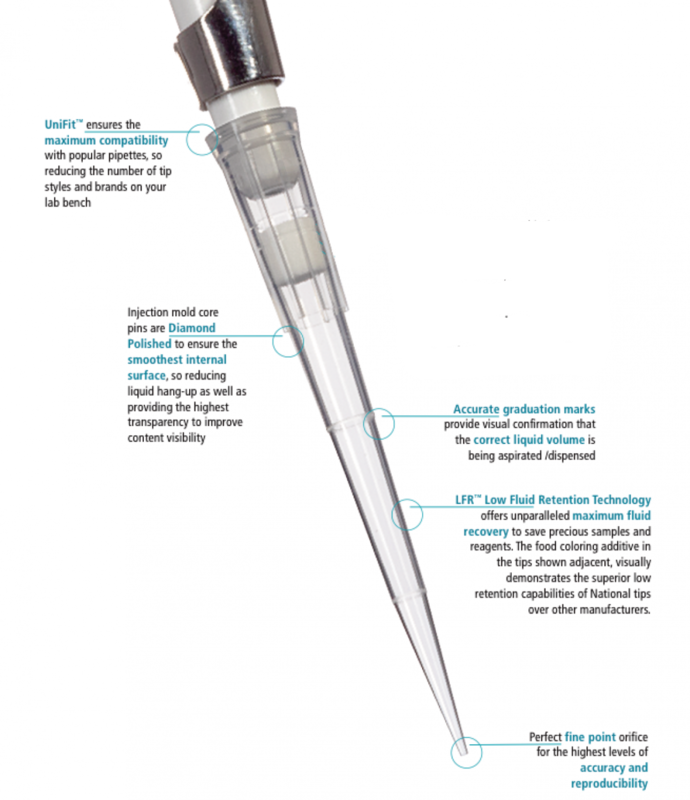 GoldenGate Bioscience universal-fitting pipette tips, are engineered to fit practically all popular manufacturers of single and multichannel pipettes, so reducing the number of tip brands required in a laboratory. 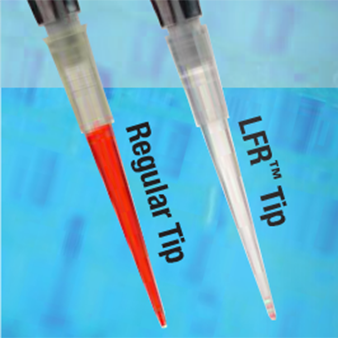 Both regular and filter barrier tips are available in GoldenGate’s Low Fluid Retention (LFR™) option. GoldenGates LFR plasticware is the result over 10 years of research and development in resin technology. 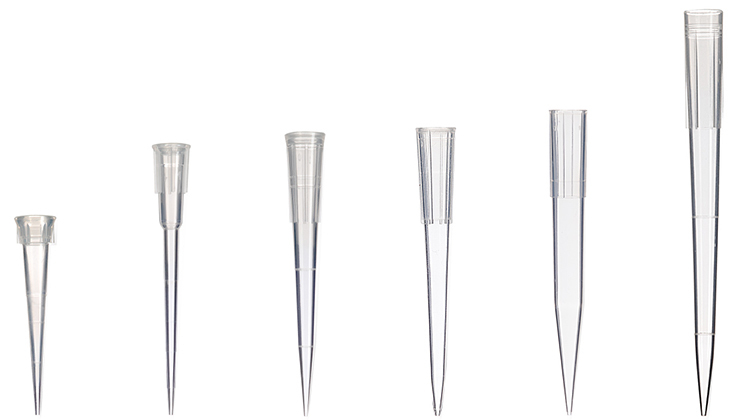 This, together with its traditional diamond polished, ultra smooth mold surfaces, accuracy and reproducibility for pipetting liquid in microvolumes is maximised, offering superior pipette tip performance. 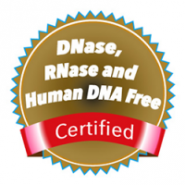 In addition, through its optimal fluid transfer, LFR products provide maximum recovery of precious samples and reagents.